The ever-increasing threat of multi-drug resistant bacterial infections has spurred renewed interest in alternative approaches to classical antibiotic therapy. In contrast to other mammals, humans do not express the galactose-α-1,3-galactosyl-β-1,4-N-acetyl-glucosamine (α-Gal) epitope. As a result of exposure of humans to α-Gal in the environment, a large proportion of circulating antibodies are specific for the trisaccharide. In this study, we examine whether these anti-Gal antibodies can be recruited and redirected to exert anti-bacterial activity. We show that a specific DNA aptamer conjugated to an α-Gal epitope at its 5′ end, herein termed an alphamer, can bind to group A Streptococcus (GAS) bacteria by recognition of a conserved region of the surface-anchored M protein. The anti-GAS alphamer was shown to recruit anti-Gal antibodies to the streptococcal surface in an α-Gal-specific manner, elicit uptake and killing of the bacteria by human phagocytes, and slow growth of invasive GAS in human whole blood. These studies provide a first in vitro proof of concept that alphamers have the potential to redirect pre-existing antibodies to bacteria in a specific manner and trigger an immediate antibacterial immune response. Further validation of this novel therapeutic approach of applying α-Gal technology in in vivo models of bacterial infection is warranted. • α-Gal-tagged aptamers lead to GAS opsonization with anti-Gal antibodies. • α-Gal-tagged aptamers confer phagocytosis and killing of GAS cells by human phagocytes. • α-Gal-tagged aptamers reduces replication of GAS in human blood. • α-Gal-tagged aptamers may have the potential to be used as novel passive immunization drugs. Sascha A. Kristian and John H. Hwang contributed equally to the work. The online version of this article (doi: 10.1007/s00109-015-1280-4) contains supplementary material, which is available to authorized users. The authors would like to thank Drs. Igor Kojic (Loxbridge Research, London, UK), Dimitri van Simaeys, and Paul Hatala (both Altermune Technologies) for helpful discussions. We are grateful to Chelsea Stewart and Dr. Partho Ghosh (Department of Chemistry and Biochemistry, University of California San Diego, La Jolla, CA) for providing recombinant M protein constructs. 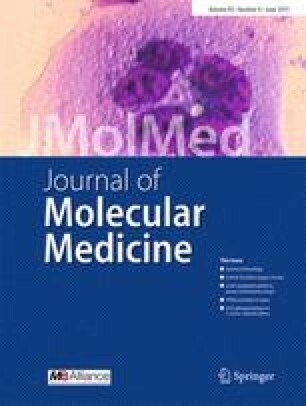 The authors are thankful to Dr. Malak Kotb (University of North Dakota School of Medicine and Health Sciences, Grand Forks, ND) and Dr. Bernard W. Beall (CDC, Atlanta, GA) for providing GAS strains for the study and Dr. Mark Walker (University of Queensland) for providing anti-M1 rabbit antiserum. The work of Dr. Iacomini was supported by NIH grant 1R01AI083459-06. SAK, JHH, BH, and EL designed and conducted the experiments; SAK and VN wrote the manuscript; SAK, BH, RO, UG, CR, KBM, MW, and VN contributed to the study design. BH designed truncated aptamer variants. UG and JI provided critical research materials. SAK, MW, and VN directed the study. The aptamer work was funded in full by Altermune Technologies, LLC (Irvine, CA). Several of the authors are employees, have executive roles and/or are consultants to Altermune Technologies, LLC with respect to their efforts to develop aptamers as therapeutic drugs.